January 21, 1984 was a red letter day for Arnie Weinmeister, President of Joint Council of Teamsters No. 28. With three other All-Pro football players of the past, Weinmiester was named to the National Football League's Hall of Fame. The vote was released the day before the 18th Super Bowl in Tampa, Florida. Also entering the football shrine were Mike McCormack, former offensive tackle who played for the Cleveland Browns, (who is now president and general manager of the Seattle Seahawks); Charley Taylor, former running back for the Washington Redskins; and Willie Brown, former All-Pro defensive back for the Oakland Raiders. Weinmeister, a defensive tackle with track-man speed, played most of his professional career in New York, first with the New York Yankees of the All-America League, then with the New York Giants, who were coached by stout Steve Owens. He finished his football career with the B.C. Lions of the Canadian League. Weinmeister made All-Coast with the Washington Huskies after World War II. He is now a member of the UW Hall of Fame which honors former athletes of all major sports. 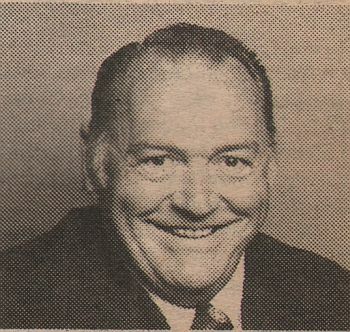 Tom Landry, coach of the Dallas Cowboys and a former teammate and assistant coach for the Giants, called Weinmeister "one of the greatest defensive tackles I've ever seen." Weinmeister is Secretary-Treasurer of Driver Sales and Warehouse Local 117 in Seattle, as well as International Vice President of the Teamsters Union. He has been a Teamster since 1941 when he first entered the University of Washington.